Body Wisdom Therapeutic Massage is a wellness community focused on addressing all your wellness needs. We offer multiple modalities to restore your body to balance. We are a place for both healing and relaxation, always keeping in mind the different needs of those coming to see us. We are focused on bringing your body back to optimal performance by re-educating and restoring the connection between your body and brain. Body Wisdom is conveniently located in Oakdale and we have ample parking. Our massage therapists, acupuncturist, and mental health therapist are knowledgeable and have continued training to make sure we give you the best possible experience. Body Wisdom Therapeutic Massage LLC has office space for rent. We are looking for talented, committed certified massage therapists to join our busy wellness community. As an independent business owner, you set your own hours and rates. Affordable rent is on an hourly basis vs. a monthly premium and includes all supplies, including linens, towels, laundry service, massage oil, a personalized page on Body Wisdom’s website, and collaboration with other professionals to help you fill your schedules with referrals. 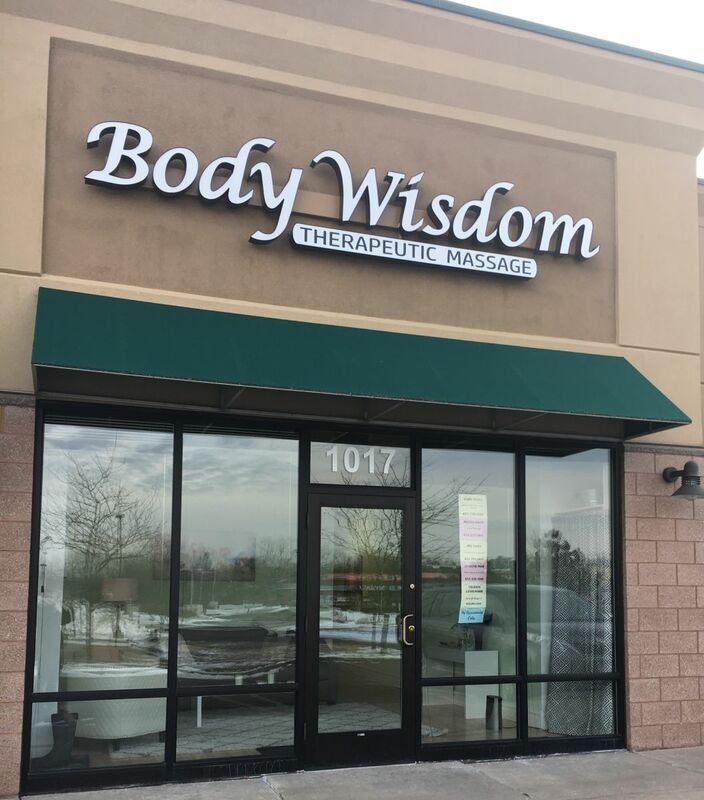 Body Wisdom is located in Oakdale, MN with easy access off the freeway and ample parking for you and your clients. Email bodywisdom1019@gmail.com for more information.